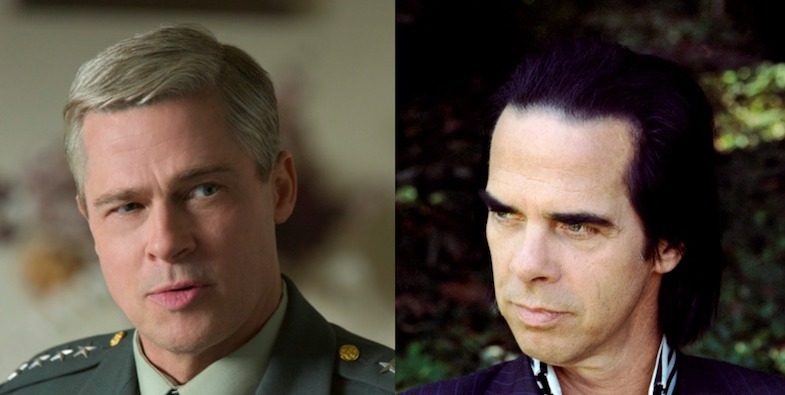 War Machine is a new Netflix film, directed by David Michôd and starring Brad Pitt, Tilda Swinton, and others. It’s scored by Nick Cave and Warren Ellis. Today, the movie’s soundtrack has been announced. It’s out May 26 via Lakeshore Records, in conjunction with Invada Records; the film streams on Netflix that same day. Along with the soundtrack announcement, Cave and Ellis have shared the new song “War Machine” from the movie. Listen to the song below; scroll down for the War Machine tracklist and artwork. “Together we made a score that was both light and dark, propulsive and meditative at the same time….